March Top of the Tree Special - The Results Are In! After adding up votes from all European communities, we are happy to announce that T110E4 will be featured in March Top of the Tree special! After the holiday break, Top of the Tree specials are back! The February edition is already live and features the Swedish Tier X heavy tank, the Kranvagn. Make sure to take advantage of it, as such great discounts and bonuses won’t be available forever! Although the tank featured in the current event has been chosen by us, the vehicle that will be featured in March will be subject to vote again in a special poll, just like before. In fact, the poll is now open so cast your vote and have a chance to influence the next Top of the Tree special that will start on 1 March. Just log into your account on the website and make sure to cast your vote for the Tier X Tank Destroyer that you would like to see featured in March, before the time runs out! The poll will be active until 13 February. Important Note: Strv 103B is not included in the poll because the vehicle and its respective tech line have already been subject to great discounts during the recent Holiday Ops event. Duration: Each Top of the Tree special lasts an entire month. Bonuses: Discounts on vehicles belonging to the highlighted tech line, an increased Crew XP acquisition on their crews and two special missions, available exclusively for the Tier X tank featured in the event. Vehicle voting: Special polls will be opened on our website. Vote for the vehicle you would like to see featured in the upcoming Top of the Tree special. Voting quotas: The vehicles subject to voting in the polls are restricted to one class per month. Voting Eligibility: Every player that has a registered account is able to vote in the polls after logging in on the website. 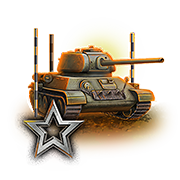 Two special missions will be available for completion for every player that has a Tier X vehicle featured in the Top of the Tree special in their garage. The missions will be accessible for two months from the start of the event onwards. *This Crew XP Bonus will stack with the standard Crew XP bonus for the Top of the Tree special. Reach for the top, Commanders!